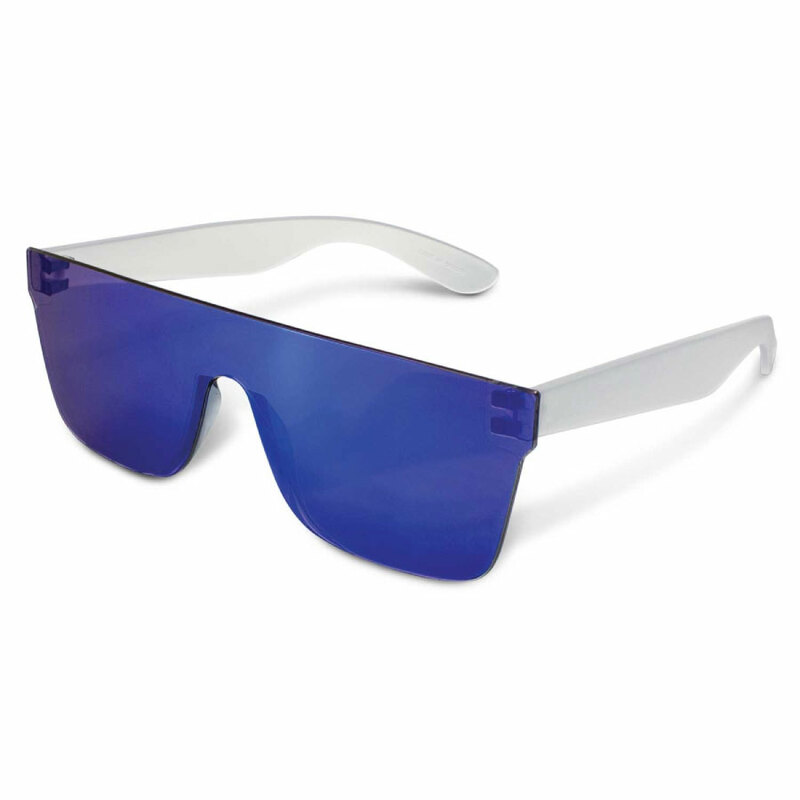 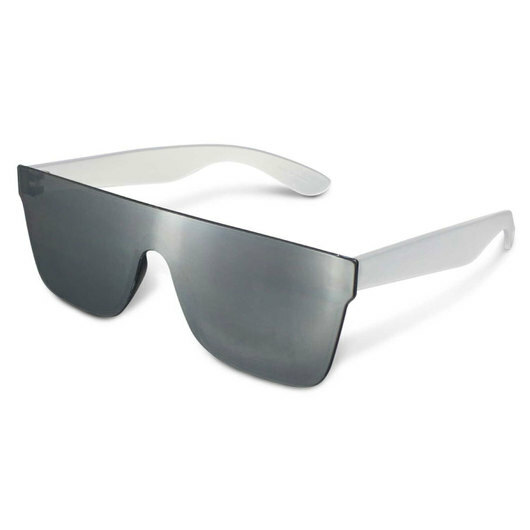 Sent from the future, these frame-less sunnies are right on trend. Designed for maximum impact they feature a one piece mirror lens that provides a flat look with comfortable feel. 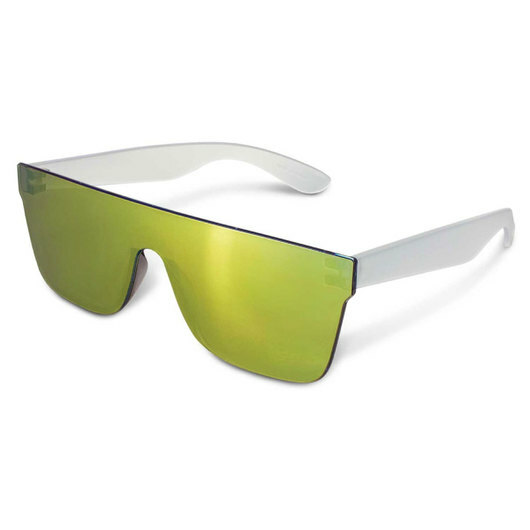 The CE standard lens provide 100% UV 400 (UVA and UVB) protection and the arms are made from touch impact resistant polycarbonate. Great for beach events, general promotions and much much more! 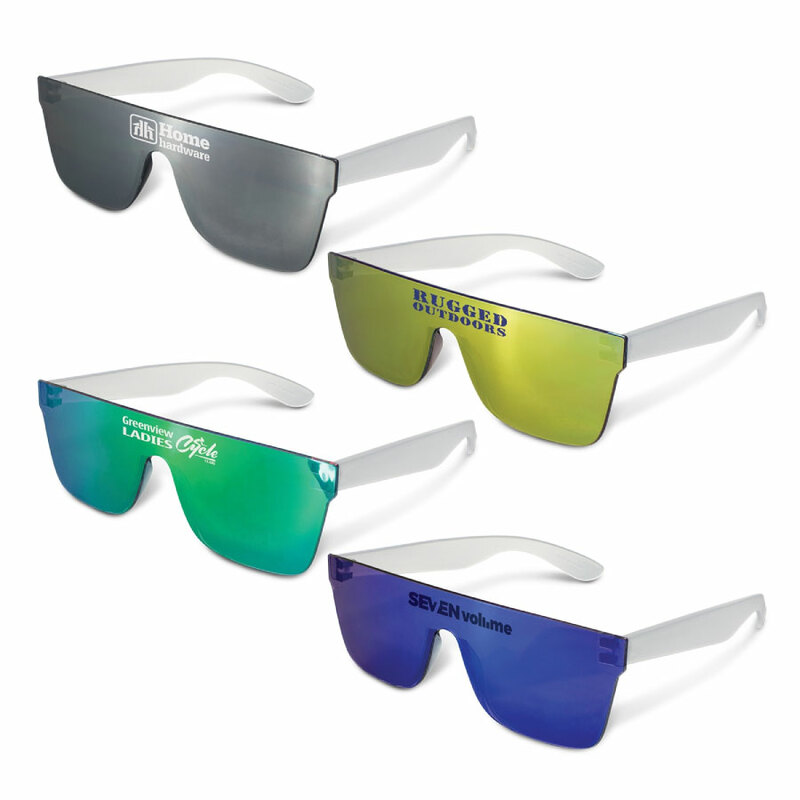 These can also be supplied with a micro fibre pouch - ask us about this!